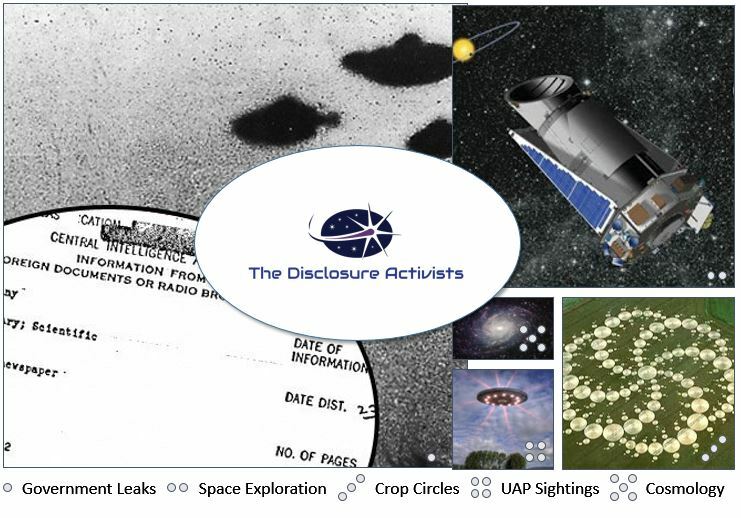 Extraterrestial Disclosure is the most profound issue facing Humanity. By disclosing the truth of an Extraterrestrial Intelligence Engaging the Human race, it will allow us to examine ourselves properly in the Universe and start navigating amongst the stars. There's a wealth of evidence in the public domain which includes: firstthand witness testimony, whistleblower testimony, crop circles (not the ugly basic ones), leaked documents, efforts put forth by Government insiders, etc. Based on a set of circumstances over the last 2+ years, there is a clear indication that the Pentaton and Military Intelligence Agencies want to speak the truth, but they NEED the public to WANT this. 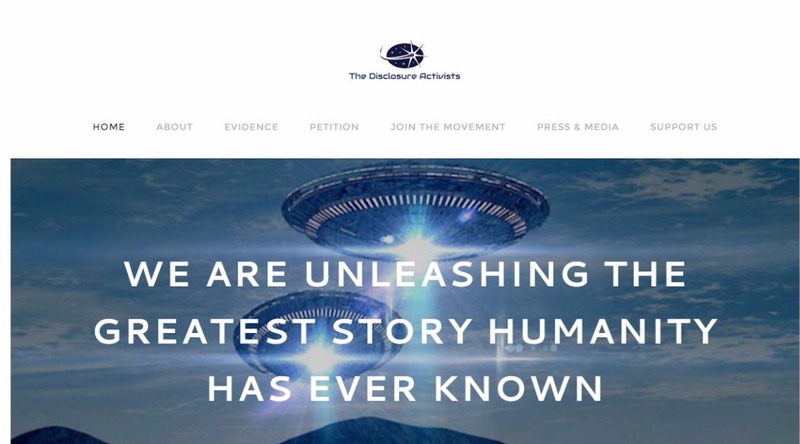 Following on from successful advocacy work put forth by Paradigm Research Group/PRG International, The Disclosure Activists' aim is to use ideation, creation and collaboration to have a prominent voice in media - something that's been missing for a long time. We do not guarantee Disclosure by any means, but, if it gets us closer to the finish line, well, then, we've done our job. - Infographics with evidence stats, etc. - Other ideas you might have? Please comment! Thank you in advance for your time and contribution and look forward to seeing what we can accomplish together! Please visit our website to see our progress! We are adding a few to-do items to our list! We are in the process of writing the petition to the White House, an associated press release, a manifesto/guiding principles for our movement, a white paper/meta-analysis of existing research, and more videos. Some of the funds needed will go towards equipment needs and monthly website/email fees, but also stock footage and academic research costs (journal articles). We have also been offered some opportunities for video interviews, but we will need travel funds for that. Please donate a small amount if you can, or share. It all adds up! Thank you so much! We are looking to put out a major press release on PRWeb. Audience reach is 250,000 subscribers, 30,000+ journalists and bloggers - will also be sent out to institutions like the NYTimes and USA Today through the Associated Press. Price - $369 for release. We can really use your help - if 36 people just donated, we'd be able to achieve this goal. Your contributions allow us to keep doing this important activism work, so thank you so much! There's nothing here that screams attention or begs for support. You would be better getting behind and supporting Dr. Steven Greer's new movie and book "UNACKNOWLEDGED"! It connects the dots and makes sense of the UFO/ETI phenomenon! Money is the mother's milk of all organizations and that includes those that are part of a social movement.